In 2017, President Donald Trump took office and pledged to the American people that U.S. immigration policies would be substantially reformed and illegal entries into the United States would stop under his administration. Most importantly, he pledged to American workers that they would get their jobs back from those who were here illegally and drawing paychecks, and that he would build a wall on the Southwest border — right through the Rio Grande Valley — to deter further illegal immigrants. His brash tone and divisive rhetoric played to the political right and working-class Americans who had felt alienated and abandoned under Barack Obama’s administration. But it has also alienated Mexico, one of our most important trading partners. To date, renegotiations with the North American Free Trade Act (NAFTA) between the United States, Mexico and Canada remain stalled and greatly threaten the economic stability of our region. But there is no mistaking that Trump has delivered on his word to deter illegal immigration in the United States. Whether because of fear of arrest or deportation, the number of arrests of immigrants decreased dramatically in fiscal 2017, during Trump’s first year in office. The Department of Homeland Security in December announced fiscal 2017 arrests by U.S. Customs and Border Protection (CBP) were 310,531 nationwide, 303,916 of which were along the Southwest border. This is down 31 percent from 450,954 total nationwide arrests by Border Patrol in fiscal 2016. Arrests on the Southwest border were down a quarter, or 26 percent, from 408,870 in fiscal 2016 under Obama’s last year in office. Despite this drop, DHS reported an uptick beginning in May in illegal entry arrests by unaccompanied minors and families. And by year’s end, 48,681 children had crossed alone and were under the care of federal authorities, just 18 percent below the 59,757 unaccompanied children detained in fiscal 2016. The future of children who came to this country illegally was probably the most sensitive immigration-related issue faced by our country in 2017. Polls also showed that a majority of Americans felt that those who were brought here as children — otherwise known as Dreamers — should be afforded the ability to stay in this country as long as they remained in school, attained good jobs or served in our military. And so when President Trump suddenly announced in September that he was ending the Deferred Action for Childhood Arrivals (DACA) program beginning this year, it tugged at enough American heartstrings that it even spurred action on Capitol Hill among lawmakers who have been woefully slow to take up immigration policies. Trump’s apparent concern for these youth and his stated willingness to help them — in exchange for other actions, like construction of a border wall, and funds cut to sanctuary cities — is expected to play out fully in 2018 and will no doubt provide for much drama in Washington that will directly impact the RGV. Since 2014, the Monitor’s Editorial Board has chronicled our nation’s immigration crisis through a series of editorials, columns and graphics. We have made dozens of policy suggestions over the years on how to reform immigration, a subject that will have an impact on everyone in the Rio Grande Valley. Some of our suggestions have been put into laws; some have been filed as laws not yet passed; and some have been outright ignored (as indicated by the accompanying graphic). As we continue to follow this complex issue in 2018, we will continue to offer recommendations, and we encourage readers to send us their thoughts in the form of letters or guest columns. Most importantly, we call upon citizens to be actively engaged in this process by remaining abreast of issues, holding lawmakers accountable and by utilizing their right to vote. + = needs to be done. + Enact a virtual wall on the Southwest border using technology, rather than construct a 1,900-mile-long border wall. Every one mile of permanent border wall will cost an estimated $6.5 million; one mile of technology costs just $1 million. + Do not build a border wall on federal lands that are home to endangered species and nature, like the Santa Ana Wildlife Refuge in Alamo or lands near the National Butterfly Center in Mission. + Better information and equity regarding eminent domain to landowners threatened by a land takeover for border wall construction. + Find a solution to allow the 800,000 Dreamers who signed up for DACA to legally stay in the United States as long as they are productive members of society. # Add more U.S. immigration judges and courts. + Speed up backlog of 650,000 pending U.S. immigration cases. + Ramp up performance evaluations of immigration judges, measuring their speed, fairness and uniformity in deciding cases to lower backlog of cases. * Unfair preferential treatment of Cuban refugees via the wet-foot, dry-foot policy was ended in 2017. + Give federal funds to reimburse South Texas cities, counties and nonprofit organizations for humanitarian aid spent on immigrants who have been detained and are legally here awaiting a federal court hearing. FEMA funds have been put aside by Congress for several years but have never been doled out. + Renegotiate NAFTA to help stabilize South Texas economy. # Increase aerial surveillance of Southwest border via Aerostats and aerial towers. + Limit exorbitant contractor costs for Aerostats through congressional oversight and increase competitive bidding to lower high operational rates. Utilize more lower-cost Winch Aerostat Small Platform (WASP) devices, which have a shorter range but are much more cost-effective. # Increase mounted horse patrol unit by U.S. Border Patrol using more rehabilitated wild mustangs from the Bureau of Land Management. + Improve safety for Border Patrol agents serving on the Rio Grande. Provide quieter boats and more agents and better cover, especially following recent shooting of a U.S. agent in the head by a bullet from the Mexican shore. # Increase law enforcement training partnerships with Mexican law enforcement and utilize training facilities in the RGV. # More thorough vetting of the “credible fear” asylum hearings for newly arrived immigrants. # Set reasonable family detention bonds. + Do not separate families and children who are apprehended crossing illegally. # Greater transparency by ICE and Border Protection agencies. # Greater transparency of private immigration detention facilities, such as those in Karnes City and Dilley. + Knowledge of and the ability to track and get information on detained unaccompanied minors. + More immigrants placed in alternatives to detention programs. + Better enticements to ensure that more immigrants show up for their scheduled court hearings. + Commission a study on how much illegal immigrants contribute economically to society to help aid Congress in deciding how to deal with the estimated 11 million illegal immigrants here. + Stop demeaning tweets by President Donald Trump and his administration toward immigrants, which prompt divisive rhetoric in our country. + Reverse 2017 decision that prohibits locals to access levees and drainage areas, which have long been spots for hiking and outdoor activities. + Require immigrants who have been illegally in the United States to pay back taxes before being allowed citizenship. 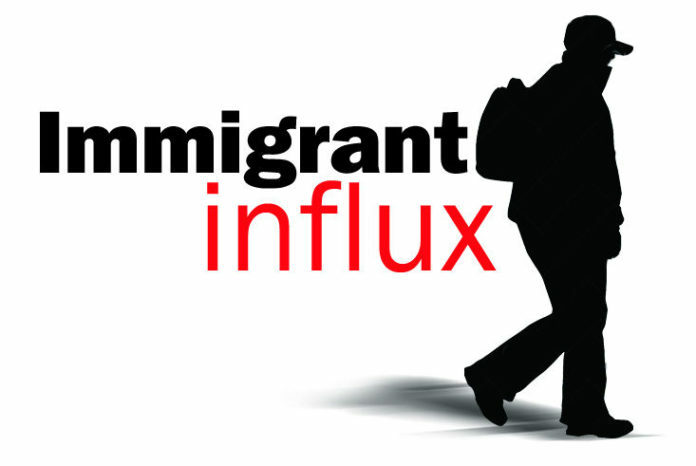 # Immediate deportation of those who pose a national security threat. # Expand temporary work visas for highly-skilled workers. # Acknowledge that we have a “humanitarian” problem as well as an immigration problem. + Congress must enact meaningful, long-term immigration reform. + More money for Central American countries to upstart their economies and deter their citizens from fleeing to America. + President Donald Trump visits the RGV and meets with local officials to better understand our real immigration situation on the border.